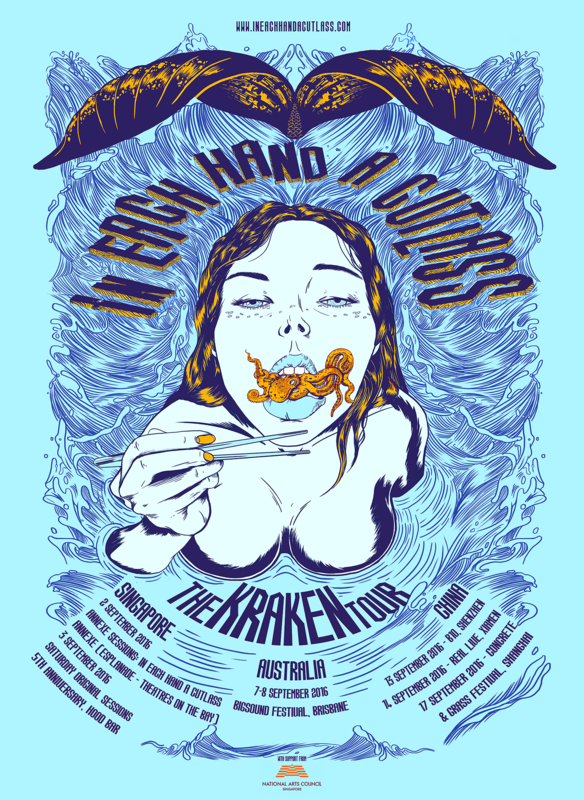 Australia & China get ready for it – ‘The Kraken Tour’ is about to come your way! In Each Hand A Cutlass will be storming the front in Brisbane at BIGSOUND Festival before heading up to China to slay some shows in Shenzhen, Xiamen and will finish off at the Concrete & Grass Festival! The tour will kick off in good ‘ol Singapore with shows at the Esplanade – Theatres on the Bay’s brand new venue, Annexe Studios, as well as at Hood Bar’s Singapore Original Sessions 5th Anniversary!